Police say one of the victims in a Scarborough shooting had only just met the second victim when they were gunned down in an LCBO parking lot last week. 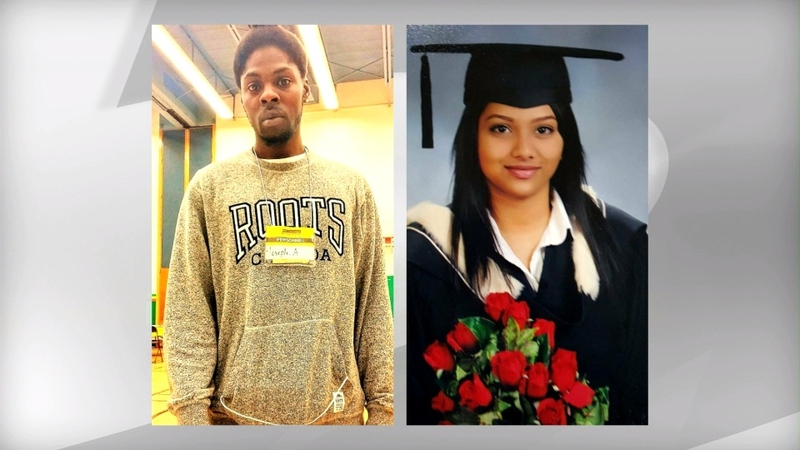 Cynthia Mullapudi, 24, and Joseph Anzolona, 26, were shot to death inside a parked vehicle after making a brief stop at an LCBO near Ellesmere Road and Victoria Park Avenue just before 10 p.m. last Friday night. At a news conference on Friday, police said that Mullapudi had only just met Anzolona and another man in the vehicle when the shooting took place. Her female friend, who was also in the vehicle at the time, had introduced them. “They picked her up to attend a party and within an hour or so of being picked up, she was deceased,” said Toronto police Sgt. Gary Giroux. Though police have not released a motive in the case, they have said that Anzolona was likely targeted and that Mullapudi may have been caught by a stray bullet. Giroux told reporters at the news conference that investigators have also identified a suspect vehicle pertaining to the case. According to investigators, a citizen photographed the car as it was leaving the LCBO parking lot that evening. A second witness, police say, repeated the licence plate number aloud until he was able to write it down in a cellphone. Giroux said investigators are looking for a 2006, grey, four-door Ford Fusion with the licence plate BYYW 755. The vehicle is reportedly registered to 24-year-old Julianna Talevski. Police believe she is in some way connected with the incident. Though Talevski has contacted a lawyer, Giroux said investigators have not been able to determine her whereabouts. It is also still unclear if Talevski was involved in the incident. “If the community recognizes Ms. Talevski’s picture, in relation to where she lives or where she might park this particular vehicle, I encourage them to call the homicide squad directly,” he said. Friends of Mullapudi told CTV Toronto that she was a "beautiful soul." "She didn't have the chance to say goodbye... that's the worst part about all of this," said one friend. A suspect identified as 24-year-old Toronto resident Harris Nnanem was arrested Sunday and charged with two counts of first-degree murder. Anyone with information is asked to contact police at 416-808-7400 or Crime Stoppers at 1-800-222-8477 (TIPS). With files from Chris Fox. Evidence markers are shown at the scene of a homicide investigation in Scarborough on Saturday morning. Julianna Talevski, 24, of Toronto, is seen in this photograph provided by Toronto police. 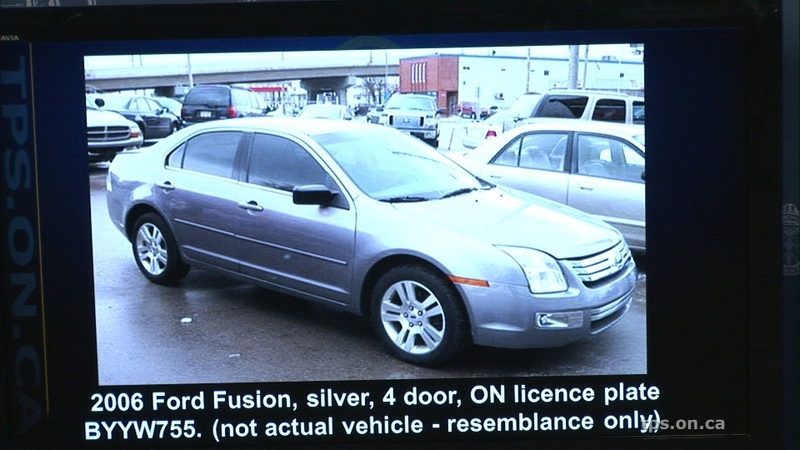 Investigators are searching for a 2006, grey, four-door Ford Fusion with the licence plate BYYW 755 in connection with a shooting in Scarborough that left two people dead on Friday, April 29, 2016. Joseph Anzolona, 26, and 24-year-old Cynthia Mullapudi are seen in these photographs provided by Toronto police at a press conference on Friday, May 6, 2016.